Locals alert!!! 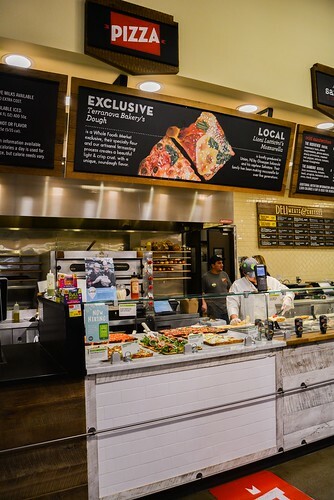 Limited Whole Foods Markets rolled out their new Square Style square pizza at the stores’ ready-made food counters. The Morristown location happens to be a part of this exciting food introduction. I was privileged enough to visit the store on launch day to speak with Rico, the pizza chef, who is helping to lead the inaugurations across the New York and New Jersey stores. First off, let me address this square style pizza. I’m going to be honest, coming from the tri-state area, where pizza is local staple; I didn’t know anything other than triangle pizza was worthwhile. 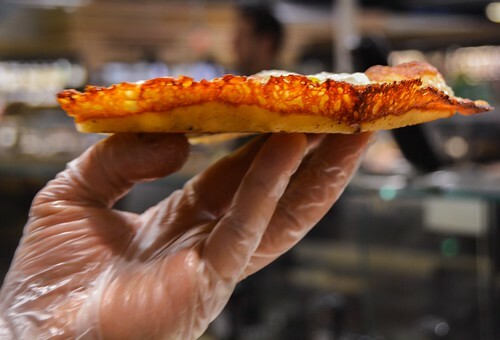 Apparently, this new style of pizza is an extra crispy square pizza that is baked. The cooked cheese forms along the edges to act as extra crust layer (see photo below). It’s similar to a pan pizza but without being baked in an actual pan. I have to say Whole Foods, bravo! The crispy crust really enhances the pizza eating experience. 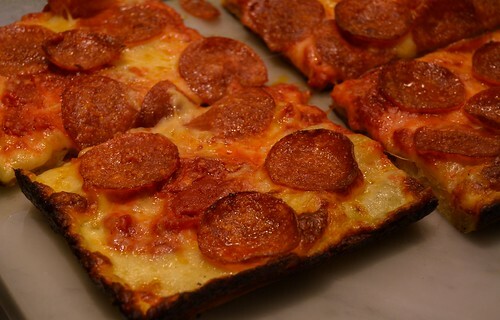 Now that you all know what square style pizza is I’ll get back to the Whole Food Market specifics. This pizza can be found in limited stores, including the Morristown shop. As with all the food that Whole Foods prepares, there are no artificial ingredients. They also utilize local gourmet food purveyors for the dough and cheese. These pizzas were created in part by (and support) Terra Nova Bakery and Lioni Latticini Mozzarella Company. 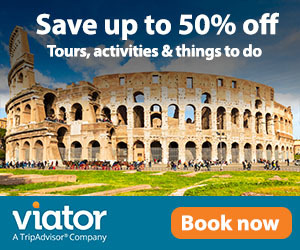 Both companies are founded in Brooklyn, New York. 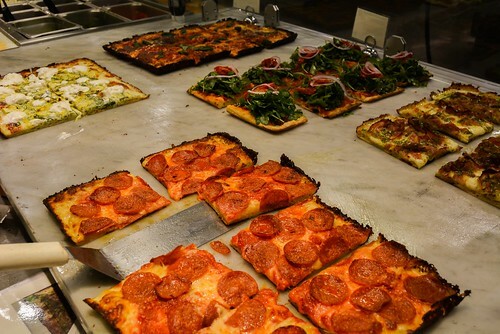 After learning about the cooking process, the pizza oven, and the ingredients it was time to taste test these slices. I’m happy to report back that I was not disappointed. I tried three different variations: zucchini with burrata, vegan topped with insalata, and pancetta and truffle pesto. I could easily (and very happily) polish off multiple slices of each again. 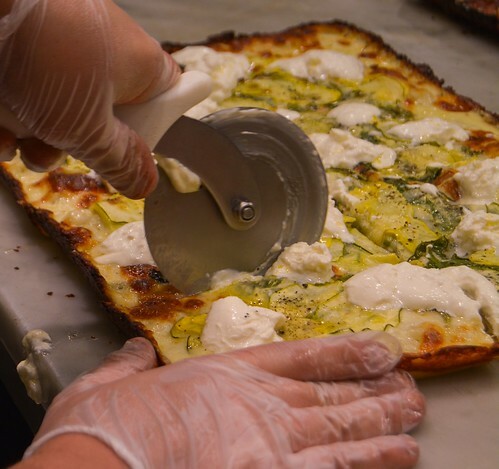 The burrata on the zucchini slice was so creamy it practically melted in your mouth. As for the vegan slice, there was no taste difference in the crust. It may have even been my favorite variation. 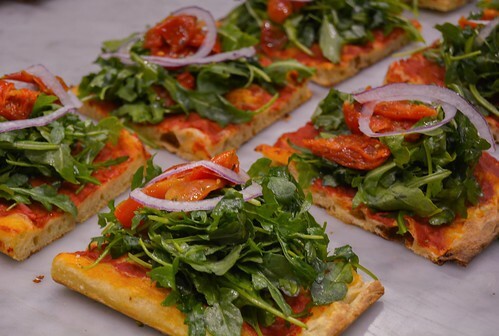 The dough was still crispy and delicious and this cheese-less slice highlights the rich marinara and crunchy arugula salad. I think the roasted tomatoes really finished these slices off perfectly. 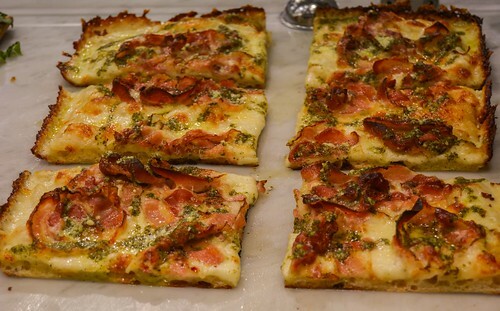 The pancetta slice was salty, cheesy and showed off the distinct truffle flavor in an impeccable way. The slices are hearty and one is enough for a lunch portion. The slices are all equally priced at $4. 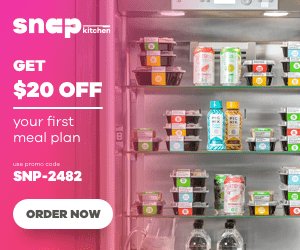 This is a change from Whole Food’s former, by the pound, approach. 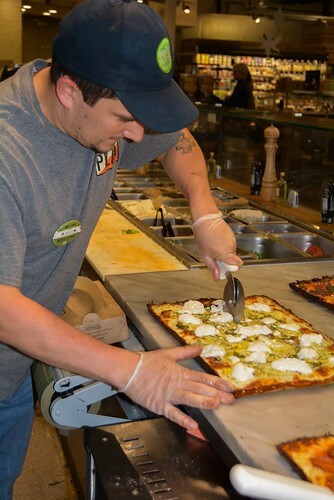 But this new route allows the customer to buy as many or as few slices as they want with consistency. It also permits mix and matching you so you can try different variations! I’ve got to say, it’s going to be dangerous living down the street from the store. Thank goodness for all their other healthy foods to balance me out. Get to the Morristown shop today to try these new square slices. If you aren’t in the Morristown area, give your local shop a call to find out if this is something new for your store too! Mangia!